The Main Branch of the National Palace Museum located in Taipei, Taiwan, is home to one of the largest Chinese antiquities collections in the world. More than 10,000 years of Chinese history are encompassed in the over 700,000 piece permanent collection, most pieces of which were collected by former Chinese emperors. Since its opening in 1965, the Main Branch has undergone five expansions including a complete renovation in 2002. It is currently the world's 7th most visited museum. The new Southern Branch is the museum's first off-site expansion. 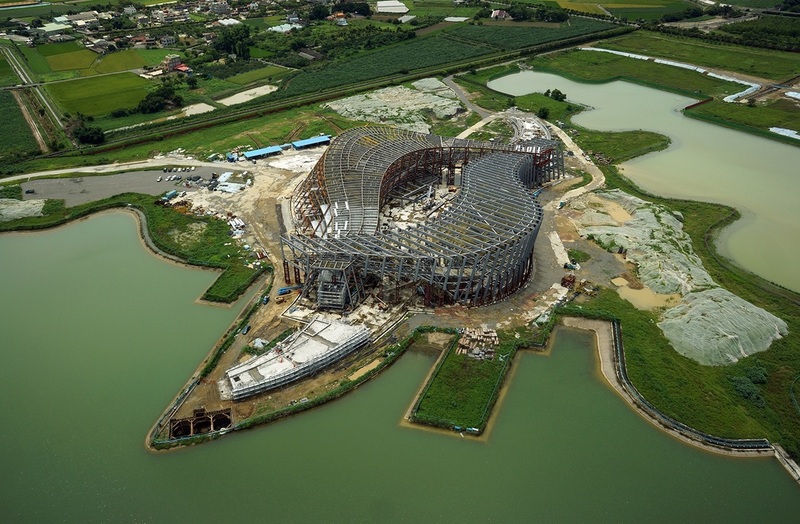 Located in Chiayi County (southwestern Taiwan), the new expansion is only a 90 minute high speed rail trip from Taipei and is even more conveniently accessed from Taiwan's central and southern cities. Set on 70 hectares of land, the Southern Branch also includes a large garden and lake. The expansion aims to promote Asian arts and culture. The uniquely shaped Southern Branch is base-isolated and will remain elastic under a 2,500 year return period earthquake, ensuring the protection of the priceless cultural artifacts housed within. 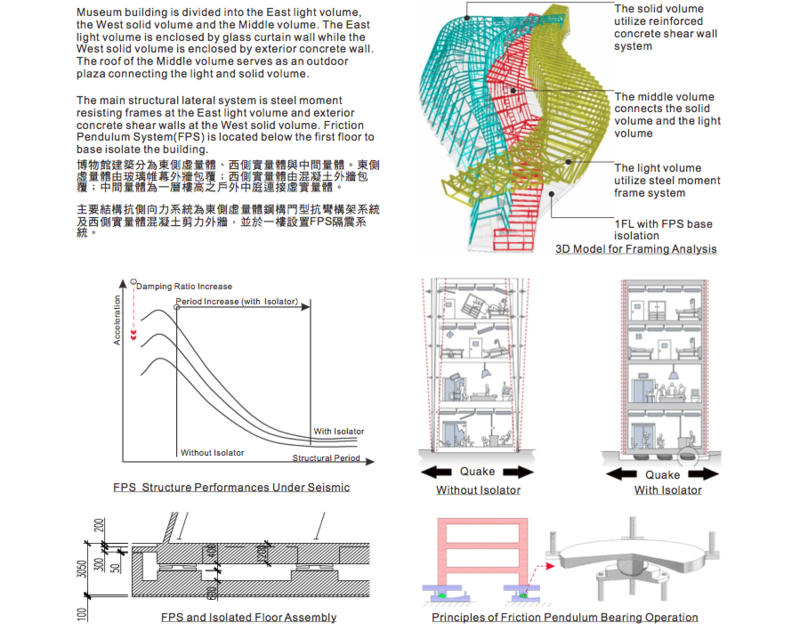 Several clever sustainability features also minimize the museum's energy consumption. The project was completed in 2015.